Sometimes you want something sweet that isn’t too heavy. 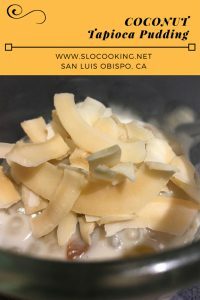 This recipe for coconut tapioca pudding hits the spot when I’m in that mood. I’ve given this my trademark dairy free twist and added a little extra sweetness with yellow raisins. 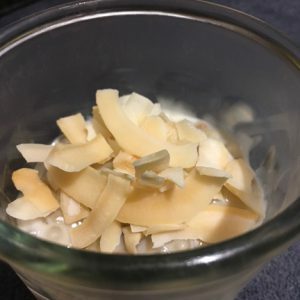 I adore the flavor of vanilla so this recipe is heavy on the vanilla, but if you’re not that partial take the extract down to 1 tsp from 2. Did you know I have a posted list of recommended KITCHEN GADGETS page. Be sure to check it out for recommendations of my must have list of kitchen equipment. Copyright 2018 by Heather Thomas, sloCooking.net. All rights reserved.